Trinity Audio Engineering is a new UK company that has recently came to market after a hugely successful Kickstarter campaign. 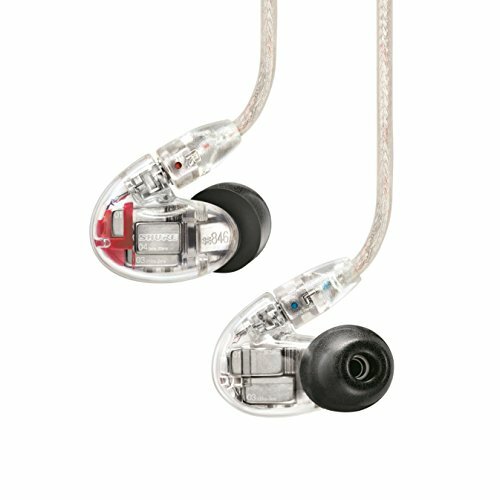 Trinity are set to have released a total of 4 IEM's by the end of the year and the Techne coming in at the value end are currently priced at £65 in the UK. On paper the Trinity Audio Techne earphones certainly look to offer headphone buyers and portable audio enthusiasts a hell of a lot of value for money. These in ear monitors feature metal driver housings, a choice of cable (cord & braided) and a range of interchangeable filters that should allow you to tune your new earphones just the way you like it. On a personal note I haven't been the biggest supporter of audio products that come out of Kickstarter but the Trinity Audio Engineering range seems to be a little different. These new in ear headphones are the brainchild of Rock Jaw earphone designer Rock Jaw Bob a man with a track record of good gear at a good price so we had to check them out and give the Trinity Audio Techne a full review. The Trinity Techne earphones come packaged in a rather premium and sleek looking box. 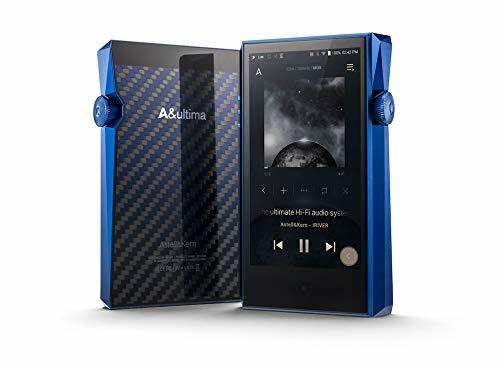 It is a cool design with some really nice branding that is in line with the Trinity Audio Delta that we will be reviewing in the coming days. The box itself is pretty rigid so no worries about them staying safe in transit. The other nice thing about the Techne's packaging is that it will look good on the store shelf and work great as a gift. 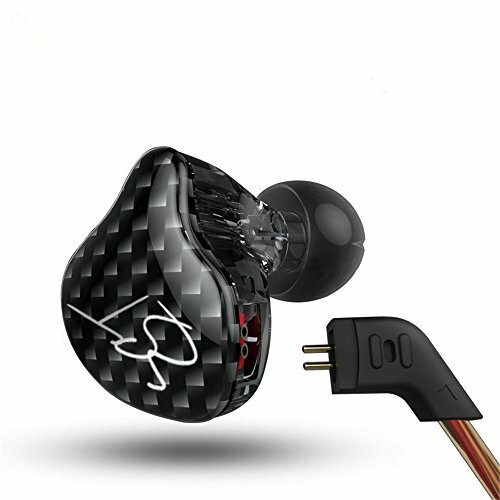 Around the back there is sufficient information to let folks know what they are getting off the shelf and on the inside the earphones and accessories are layed out and presented well. All in I really like the packaging on the Trinity Audio line of IEM's and it should certainly help to build the brand image. At the end of the day a box is a box but we like that it adds a little bit of a special feeling when you get it in your hands, it feels like a premium product. With the Trinity Techne IEM you get a strong and comprehensive set of accessories. There are plenty of tips in multiple styles and sizes such as traditional silicone, Comply style foam tips and Bi-Flange tips. I found that the silicone tips worked best for but I also quite liked using the Techne with the Comply style ear tips which was something of a surprise. In the dead centre of the case you are going to get the specially designed Trinity Audio Engineering shell case. The case is obviously not just a generic case with relevant branding stuck to it. Its triangular shape fits in nicely with the companies logo and being a semi rigid zipper case it should keep your earphones in top condition even when thrown into a rucksack or flight bag. Inside the case and something I didnt know about was a small 3.5mm right angle headphone jack adaptor. This is a brilliant little inclusion and as someone whose whose phone has the headphone jack at the top the added length and angle helps keep the cable from hanging in front of my screen. The inclusion of a right angle adapter is a very nice touch and something that I wish other companies would also include. The final extra you get in the Trinity Techne box is of course the small metal cylindrical tube containing the interchangeable filter tips. There are filters there so you can fine tune your listening the way you want such as enhancing the bass, displaying more treble or even to create a more neutral response. 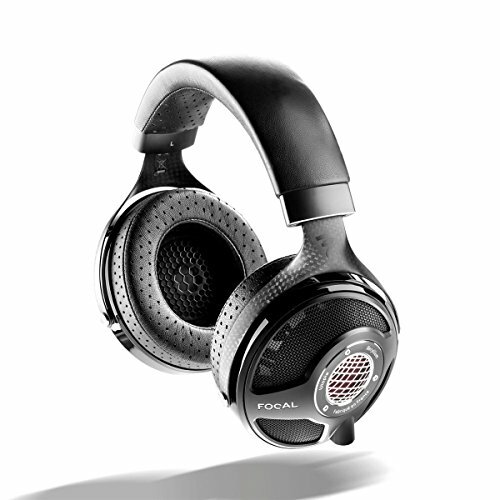 I found that with the bass tips installed they were most to my taste for how I would personally use the Techne (as a dedicated bass canon) but if you were using the Techne as your sole earphone I highly recommend the middle filter set due to its versatility. Overall I cannot fault Trinity Audio Engineering in their choice of accessories. They cover just about everything you would want on a set of in ear monitors and do so with the build quality of the accessories matching that of the earphones at a higher price. I understand the need for companies competing in this price point to cut costs by throwing in generic parts but it really adds to the overall presentation and feel when you get a bespoke set of extras thrown in. Top marks Trinity. For me the Trinity Audio Techne IEM have stuck a cord with me the minute I saw the pictures. You know that feeling when you see someone that looks like and old girlfriend? Hopefully your remembering the good times and not the crazy when when she "allegedly" threw an angle grinder at your head. Right? Well the Techne are the audio equivalent . They instantly reminded me of my favourite earphones of all time. A set of earphones that played a big part in this site being around today and the oldest set of earphones I still have in use today. The incredible Audeo PFE 112. In my mind the PFE (Perfect Fit Ears) are one of the best ergonomically designed and most comfortable IEM housings to have ever hit the market so its a good choice for the Trinity Techne to pay homage to this one. Everything on the Techne earphones is extremely well built. The IEM housings and filters are all made from aluminium making for an extremely hard wearing set of earphones able to put up with years of abuse whilst still kicking out tunes. The filters as mentioned above are interchangeable to suit your own sound preference and the method of doing this is very similar to what you find on RHA's T10i in ear headphones. It is a simple screw system. Just unscrew the ones fitted to the earphone and screw in the new ones, its simple and as we talk about later the filters themselves do work well at altering the sound. The cable is more of a mixed bag, it works great on the Trinity Techne but not as well on the Delta model. We selected the braided cable on both the Delta and Techne due to my own personal preference to this cable style. In the past I have found that braided cables perform much better that cord or traditional rubber cables when it comes to micro-phonics and resistance to tangling so it has became my default choice when the option arises. As the Trinity Audio Techne are designed to be worn with the cable over ear then micro-phonics are absolutely not an issue here but worn down with the Trinity Audio Delta it has the tendency to transmit a little more cable noise to the ear canal so bear that in mind if you are deciding between these two in ear headphones. Of course this will be mentioned with the upcoming Delta review but if we are talking about its use on the Trinity Techne, over the ear, then I see absolutely no issue at all. The cable feels very robust and is very resistant to tangles and memory formation. Jack points and splitter were found to be very good and I would say the strain relief where the cable connects to the IEM housing is adequate. Strain relief at the jack point is excellent and is a very similar to the spring relief jack points found on RHA's premium earphones. 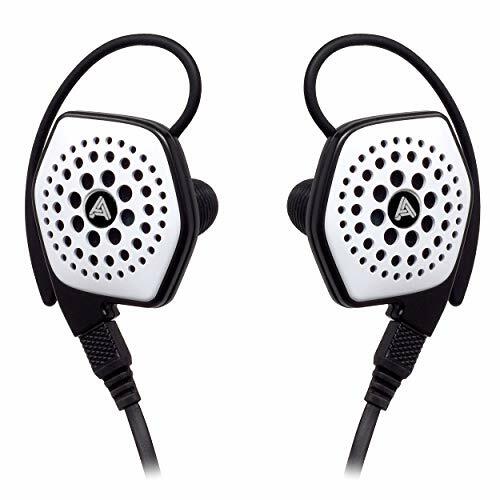 I mentioned the similarities to the incredibly comfortable Audeo PFE 112 earphones above and even thought the Trinity Audio Engineering Techne look to be an enlarged versions of the design I still found them to be really really comfortable to use. In fact when it came to insertion of the IEM housing the Techne actually had the PFE 112 beat as they were easier to handle and manipulate into position to find the best possible seal. Insertion depth I would put on the medium/shallow side so people with issue with earphones that require a deep seal will rejoice but of course that does somewhat affect the earphones ability to block out external noise. Don't worry though as the Trinity Techne earphones are still good isolators (I would give them a 7/10). They earphones manage to block out most external noise so will work perfectly well for commuting and use on public transit etc. With the fun filters installed I initially wasn't really getting down with my traditional testing playlist right off the bat. I was just having a little fun whilst I was doing stuff around the office and getting a feel for them. I put on some Lorde and the first thing that came to my mind was damm there is some serious bass here. Excellent. Now the issue with the Techne, thanks to the number of filters, was that I was going to have to run through the same stuff multiple times to get a beat on how they affected the sound. For the purposes of the Trinity Audio Techne review I am going to break the sound portion of the article into the respective filters and add my impression of each. Quite honestly interchangeable filters are somewhat of a gimmick but not usually in the sense that they don't work. More in the sense that you won't bother your back side to change them around once you have settled with your favourite. I like the option to change from a fairly balanced or mid warm signature to one with more emphasis on a stronger bass response but I don't think I would ever install the most treble prominent of the Techne's filters. In the case of the Trinity Audio I did find that the filters could alter the sound quite effectively. In fact it was much more of a dramatic change than one gets on the RHA T10 and RHA T20i earphones when switching between their filters. Trinity Audio uses descriptors for the different filters such as "fun" and "vivid" but as your reading it could leave it up to interpretation. So allow me to simplify it in terms that we will continue on in from here. There are three filters consider these as follows, bass, mid and highs. First up I want to talk about the "fun/bass" tuning filter. This is by far and away my favourite of all the filters that come with the Trinity Techne. It provides the deepest bass response out of all the options and is enough to transform the Techne into a very competent set of bass canons. Lovers of electronic music and other modern pop style genres will love this filter. It manages to retain good control and clarity of the mids whilst at the same time providing copious amounts of sub-bass that never seems to get muddy and slow. Sub bass is something that I have always found to be lacking in a lot of earphones at any price point let alone for the sub $100 market. 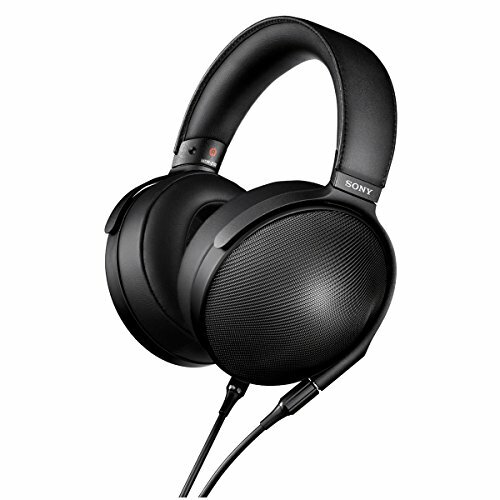 A few that are out there do really well in this category such as the Sony XB90EX in ear headphones and the Denon C300 Urban Raver. 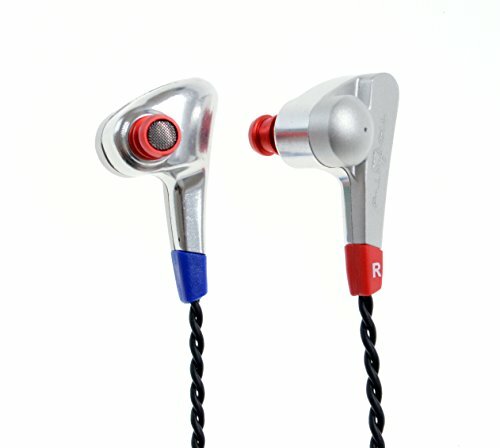 My pick in recent years has been the RHA T10i but then the T10 are more than twice the price of the Techne. I don't think they are technically better sounding than the RHA earphones but the come damm close. Highs on the bass filter are found to be slightly elevated and that works really nicely and is reminiscent of the old UE Triple.fi In Ear Monitors V shaped sound signal. There is a slight bleed of bass into the lower mids but when your pumping out this much rumble that is to be expected. My second choice in filter would be the mid one. This filter is designed to lie somewhere in the middle of the bright high/vivid filter and the brain melting "fun" filter. I liked it, the bass was tamed well down and while still on the stronger side of neutral it picked up a tighter punch. The midrange as a result became much more prominent with a nice hint of warmth about it as opposed to being cold and neutral as I had expected it to be. Male and female vocals sounded great and acoustic music in general was excellent on these filters. Soundstage was of average size and didn't possess any extreme depth or width but for an IEM it was perfect acceptable. The one thing you do notice about this filter however is that it is by far the most versatile. 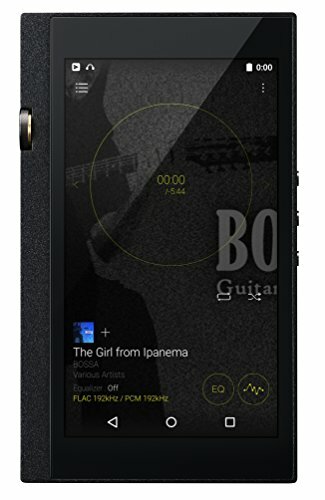 If the Techne was to be your sole IEM and, like me, you listen to a wide variety of musical genres then I would stick with this one as I really found it hard to fault in any area. When you get into some more expensive earphones you are going to find refinements but with the middle filter on the Trinity Audio Techne are steller performers for their price point. Trinity Audio Techne 3.5mm jack adapter. The final filter is the vivid filter. Its the filter thats supposed to bring out the most detail and sparkle in the music. While it is true that everything became much more refined and balanced I found it a little harder to listen to for pure enjoyment. You see the bass had now been drawn right down and the warmth softened in the mids. It started to sound a little to clinical for my taste and I really just wanted to get back to the mid or low filters. However, I did push on and can say that it performed admirable with some classical and jazz recordings. This is thanks in part to a combination of clarity and good driver speed yet I still think that this is the filter that is limited in the genres you would wish to use it in. Vocals sounded less immersive and the sense of intimacy that should be in recordings from artists like Bocelli and Einaudi was missing. During the creation of this Trinity Audio Techne review I thought a lot about who these earphones would suit best and I really think it falls into 2 categories but for the same reason. You see I have always been a big advocate of using more than one headphone. A plumber will use a different sized wrench for different tasks so why not use multiple tuned earphones to get the job done. Use the right tool for the job. Now myself I use something like the $750 Campfire Audio Lyra as my go 2 earphone but if I want to melt my brain Ill pick up my RHA T10i. Alternatively you might find me using my UM miracles and when bass is required ill throw down with the Digizoid Zo v1 to get the rumble I desire. So my point is this. If you are a high end portable audio enthusiast with disposable income and you already have a nice set of balanced/neutral style earphones you could grab something like the Trinity Techne, XB90 or RHA T10i to add a bit of spice on the low end. If however you are just here looking to get one single set of earphones then you can still get that multiple earphone experience by switching out the Trinity Techne filters. 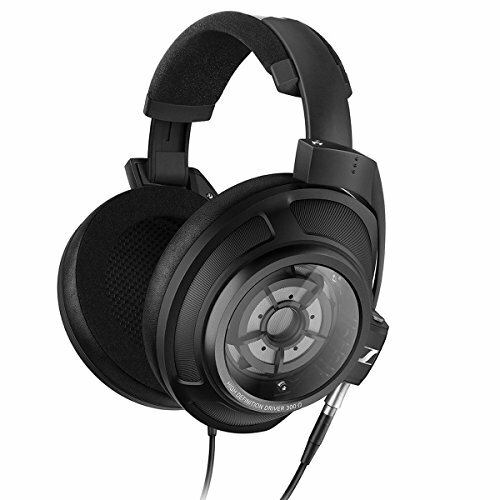 Finally if you are just a straight up basshead then the Techne should be on your list of go to headphones right off the bat. I might have to say it. Hell I'm going to say it. The Trinity Audio Engineering Techne earphones are right up there as one of the best value earphones I have ever tested for this site. There are very few earphones on the market that are priced at under $100 (currently $78 dollars on Amazon - here) that have build quality as good as this as well as rock solid sound and a versatile feature set. As mentioned above they are the first earphones where I think the filters make enough of a difference to not be considered a gimmick and some serious thought seems to have been put into the final audio presentation of the IEM. Thankfully this is one Kickstarter earphone that has came to fruition and not just lived up to the hype, in many ways they have exceeded it. Basshead's will love the Trinity Techne and I think this is where it excels but the mid filters are not without there own merit. The other great option for the Trinity is as a sports/gym headphone due to again to solid fit and buil. Overall the the Techne earphones are top performers and I would give it a solid (9/10) in the sub $150 category and it has also now made its way onto our list of the best earphones under $150 as well.